We Give Books is a website that gives anyone access to FREE books anytime on any device. We Give Books will donate a free book to someone in need every time you read a book online. Along with reading the books online, there are educators resources to help integrate the book you just read into your classroom curriculum. Searching for books is very easy as you can search by age, genre, or author. 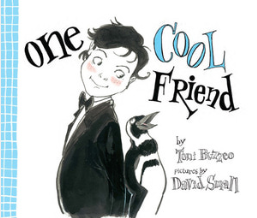 Most books have an age range from 0-10 but anyone can enjoy them because one of my favorite is One Cool Friend by Toni Buzzeo. The video embedded below will explain We Give Books a bit more.